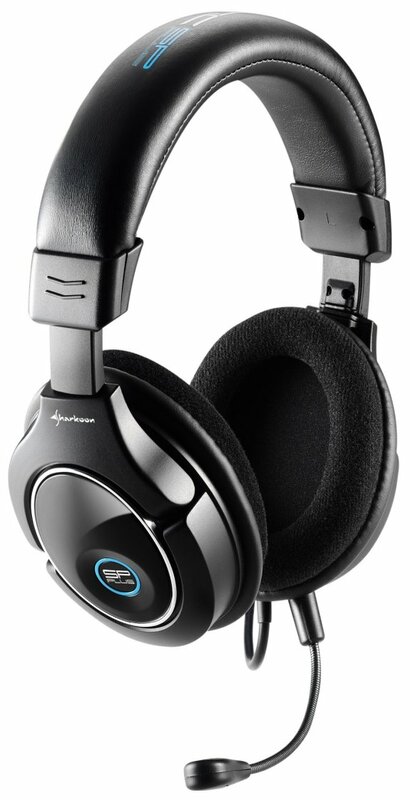 Sharkoon presents the X-Tatic SP Plus, a new stereo headset for PlayStation 3 and Xbox 360 gamers. It should be available in retail stores for around 59.90EUR. Sharkoon presents the successor to their "X-Tatic SP" console headset: The new version of the "X-Tatic SP Plus" comes with simplified connectivity and optimized wearing comfort. 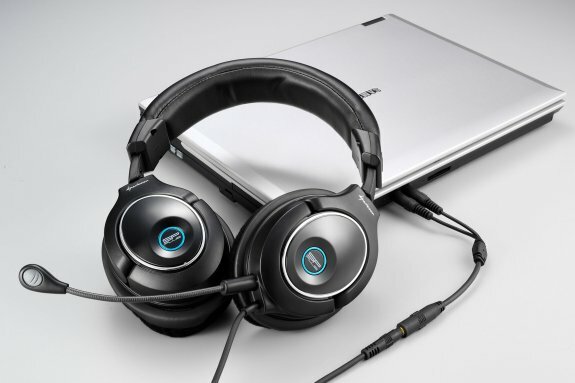 The stereo headset is designed particularly for use with the PlayStation 3 and Xbox360, delivering first-class sound with its premium 40 mm Neodymium magnet speakers, but can also be used with a PC, Notebook, MP3 players and Smartphones. Sharkoon has equipped the new model with a flexible headband, which reduces pressure on the ears and thus ensures a comfortable fit. Also new are the configurations of the two microphones: The user has the choice between an approximately 15 cm long, flexible adjustable chat microphone for gaming use and a compact mini-microphone for use while talking on a smartphone. Sharkoon has also optimized the connection options: The 120 cm long headset cable ends with a 4-pole 3.5 mm stereo jack, so that the X-Tatic SP Plus can be directly connected with MP3 players and Smartphones with compatible headset ports. To connect to a PlayStation 3, Xbox 360, PC or Notebook an appropriate adapter cable is enclosed. Those using the headset on different sound sources can leave the appropriate adapter cable on the device and simply connect to the new port. The game console adapter cable with inline amplifier, voice volume control and microphone mute is equipped with a USB connector and two RCA audio loop-through adapters that are connected between the console?s TV cables and monitor. Around 500 cm in length, the cable offers a sufficiently large radius of action. The Sharkoon X-Tatic SP Plus supports voice chat function on both consoles. With the Xbox 360, the cable controller of the headset is connected to the console gamepad with an additional chat cable. The 4-pole 3.5 mm stereo jack of the Sharkoon X-Tatic SP Plus is compatible with all current Smartphone models from Apple with the established headset pinout. For older and Nokia models that use the traditional pin configuration with offset mass and microphone contact a suitable plug adapter is enclosed. Also included is an adapter cable with stereo jacks for the audio connection to PC and Notebooks, plus a detailed illustrated instructions flyer.